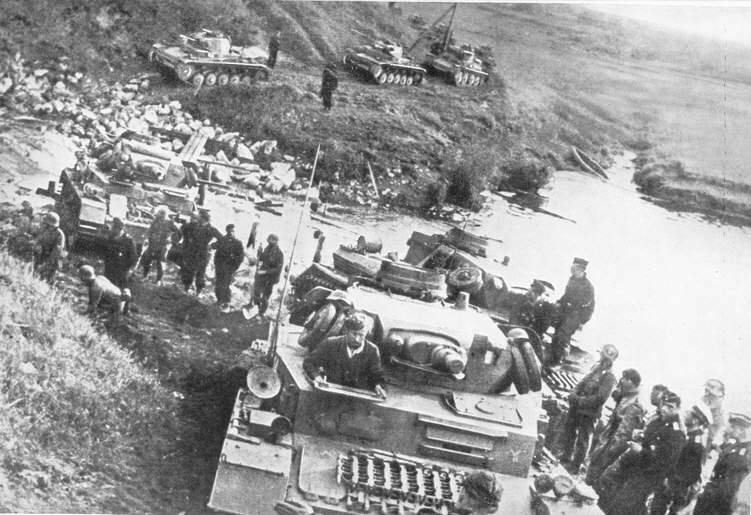 A mixed Panzer column crossing a river in Russia soon after the German invasion in 1941. The leading tank is a Panzer IV Ausf C, followed by two more Panzer IVs. The first two tanks on the far bank are Panzer IIs, while the third tank (far right) may be a Panzer 38(t).